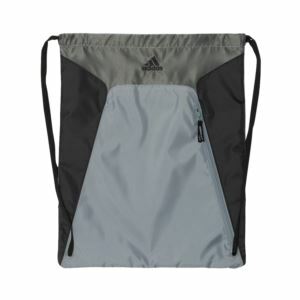 Made from 100% polyester," the durable and lightweight adidas A312 Drawstring Gym Sack is perfect for your active lifestyle. It features a front pouch with side zipper entry and webbed shoulder straps with a drawstring closure. Size: 15 3/4" x 19 1/2"